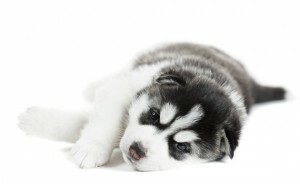 How do you choose a Siberian Husky breeder to acquire your new puppy from? What separates bad breeders from good ones, and good ones from great ones? 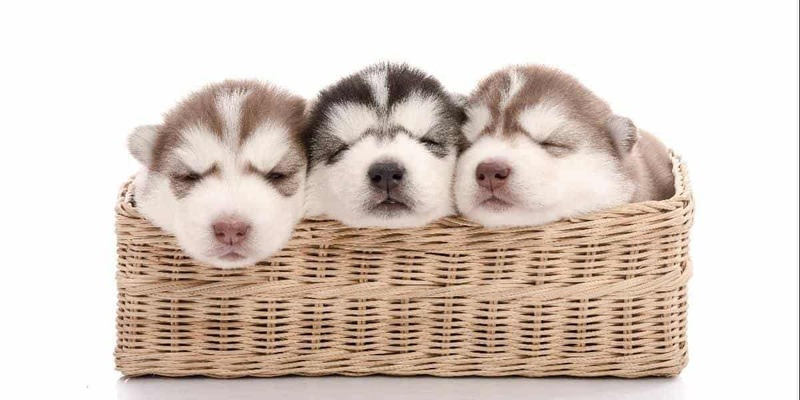 Here are the things you need to consider when dealing with breeders of Husky puppies and looking for a new pup. First look for breeders in your area. You can use our Breeder Directory as a starting point, or the SHCA Referral Directory, and also consider breeders in your neighbouring states if there aren’t many local to you. You want to be able to visit the breeder, on at least two occasions, so it makes sense to choose from breeders you can easily visit. Buying from a breeder that will freight the dog to you, without checking you out first, is a sign of breeder who is more interested in selling puppies than finding the right one to match your requirements. It should go without saying (but we will say it anyway) you should avoid pet stores, puppy farms and any other party who you suspect is not breeding for the betterment of the Siberian Husky breed. By working with a responsible breeder you are likely to get a healthier puppy that is socialised, pay less for the puppy (no retail margins), and are helping to stamp out poor breeding practices. You should also start forming a relationship with your local vet and ask him or her for referrals to local breeders, breeding clubs, or Siberian Husky clubs that can help you locate a breeder. 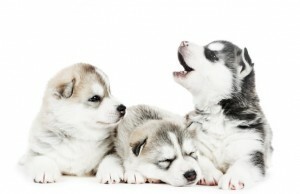 Before visiting a Husky breeder always give them a call first – nobody likes unannounced drop-ins! They might out presenting their dogs at a show (another good sign they are working on improving the breed). You should ask them if they are members of any breeding clubs, and/or who mentored them: either of which are a sign of a dedicated breeder. You should ask about their history with the breed: why did they choose to breed Siberian Huskies and how long have they been doing it for? This will help avoid inexperienced breeders. The breeder is also likely to ask questions of you and what kind of puppy you are looking for, what environment you live in, and other questions to help decide that you will be a responsible pet owner. Beware of any breeder that encourages you to rush your decision without checking you out. Responsible breeders do not breed every year, and it is likely that you talk to kennels that do not have any puppies available at all. You can ask for referrals to other breeders: good breeders know other breeders in the vicinity. You might even need to be patient and wait a number of months until new litters are born. The breeder will most certainly be able to keep your details on hand for that event and contact you in the future. On your first visit your aim is to evaluate the breeder and the premises, and start forming a relationship. A good breeder will show you around and let you inspect where the puppies spend most of their time. A clean and maintained environment is what you are looking for. Also do the puppies seem happy to have you around? Responsible breeders will socialise dogs early and get them used to new sights, smells, sounds, and experiences. If most or all the puppies run away at your sight it could be a warning sign that this socialisation has not occurred. The size of the property, number of dogs on site, web site, advertising and other promotional material from the breeder is not an indication to the quality of the dogs being bred. Resist the urge to make a decision on this first visit, no matter how cute and adorable the puppies are! You and the breeder should be working together to find a puppy with a temperament suited to your lifestyle. The breeder should be asking lots of questions about you to help him or her suggest potential puppies for you. In turn you should feel comfortable talking to the breeder, asking the hard questions such as health of the breeding line, documentation demonstrating the parents are healthy and resistant to Siberian Husky health issues such as eye and hip disorders. Registration papers are good but just remember they only demonstrate the parents were registered, and do not indicate the overall health prospects of the pups. A breeder should be respectful of your decision to visit other breeders and find a dog that suits you. Any breeder who puts the ‘hard sell’ on you is most likely in it for the money, and not the long term future of the dog. Now you want to start getting serious about making a decision – asking more questions that might have been raised when you visited other breeders. If it takes you a third, fourth or further visit to help make the right decision then so be it. Breeders are generally very happy to have responsible pet owners visit them, and not let their puppy leave as the result of a rushed decision. A good breeder will not let a puppy go until at least 8 weeks of age, after a first round of vaccinations and worming treatments. They should be able to provide you with a schedule of future health activities you need to undertake, plus written information on diet and care for your puppy. Desexing (‘spaying’ or ‘neutering’) is also likely to be a discussion point and may have already been taken care for you. Responsible breeders don’t want to encourage future breeding of inexperienced owners. Most good breeders, if not all, will be able to provide some sort of guarantee as to the health of the puppy. Responsible breeders will also be willing to take the dog back if you are unhappy, or unable to care for it. If convenient you should be able to get the puppy checked out by your preferred veterinarian just to make sure there are no hidden surprises. Congratulate yourself for taking the time and effort to find a responsible breeder! Enjoy your new family member and the years of good times ahead you will have with your Siberian Husky. Be sure to join a local club and also get in to training and grooming habits early, because Huskies grow up very quickly!